All optimist should have a way of stopping the mast falling out of it's base if the boat capsizes. A mast lock is the easiest method. This stainless steel lock secures your mast from coming out of its step when the boat is capsized. 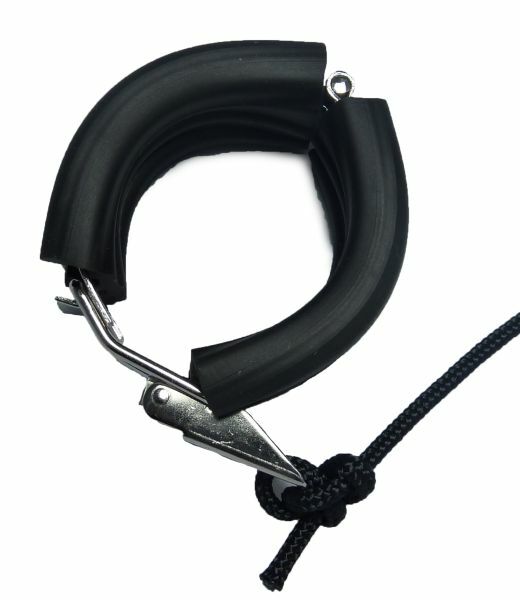 This prevents costly foredeck damage and helps tether rig to the boat. This lock has a rubber insert and should be clamped around the mast just under the deck. Use the clamp in addition to the rope locking system to create double security. Comes with a line to attach it to the maststep.